Questions about Kichler Lighting 338508MUL? 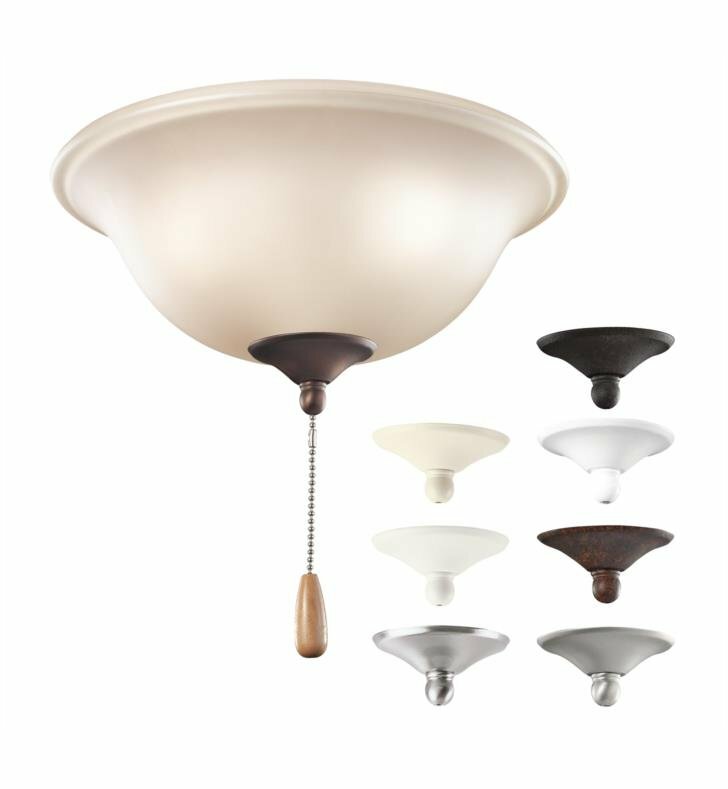 The subtle styling and glass of this Kichler 3 Light Ceiling Fan Light Kit with Umber Etched glass creates a versatile design that will effortlessly blend with your existing decor. Includes finials in many different finishes so you'll find the perfect fit. W 11" x H 5"